In October, the Obama administration released regulations that would hold career-based colleges of all types more accountable for the retention and future employment of their graduates. These “gainful employment” rules would particularly strike against for-profit schools with predatory practices that take the money of college students and provide little support for employment following graduation or certification. No particular schools will be singled out though, and all career colleges will be subject to the regulations. If accountability measures are not met, the colleges could lose out on federal aid. It’s important to note that for-profit career colleges are often the first choice of low-income college students who depend on federal aid to pay for their schooling. In its explanation of the new regulations, the U.S. Department of Education pointed out that up to 90 percent of some for-profit career college revenues come from taxpayer money. Adding higher levels of accountability to these schools is not only a way to ensure a brighter future for its students, but to protect government investments. Not surprisingly, these regulations have upset career colleges and the lobbying organization of for-profit colleges, The Association of Private Sector Colleges and Universities, which say that they are being unfairly targeted. I’d say that there is some truth to that—but not because I think they should not be held accountable for the future success of their paying students. On the contrary, I think these new regulations, which will take effect on July 1 if officially approved, don’t go far enough. There should be similar regulations in place for all institutions of higher learning in the U.S. to protect students who invest a hefty amount of their future incomes in their educations upfront. Why stop at higher accountability for career colleges? When we talk about student accountability, it’s usually in the K-12 space. Teachers’ pay, clout and careers rise and fall based on the performance of their students—so much so that there has long been pushback against the high standards our K-12 educators face, particularly when so many circumstances outside the classroom influence student success. The end goals for all of this accountability are higher graduation and college enrollment rates. As a former public school educator myself, I find the increasing accountability to be a great benefit to students. Graduation rates are increasing, and the achievement gap is shrinking (though both have plenty of room to improve). Despite grumblings from educators and even some parents when it comes to high standards for K-12 achievements, the students are benefiting. But what happens once those students earn their high school diplomas and set off for college campuses (or start taking online courses)? What happens to the idea of accountability then? On paper, accountability virtually disappears once a high school career ends. Colleges and universities have their own sets of standards for graduating students and helping them find success out in the real world, but there is not a streamlined process across states or the nation. The element of competition, particularly when it comes to for-profit colleges, is certainly a driving factor in keeping these schools accountable but is it really enough? It’s great to have a department or degree program that ranks on one of the many “best” lists that are published every year, but do these ratings put enough emphasis on what happens to students after graduation? 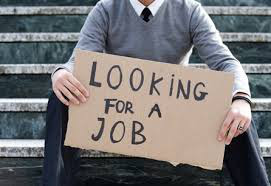 All of the cutting-edge technology, big-name faculty members and innovative teaching strategies in the world do not mean much to a particular student if he or she cannot find gainful employment when the college years end. A study from Harvard University found that only 56 percent of college students seeking four-year degrees end up graduating within six years. The numbers for two-year programs are even bleaker. Only 29 percent of these students finish their coursework in three years. This means that the students who drop out of college are paying a premium toward degrees or certifications that they are never able to obtain—and they are never able to ascend to the higher economic brackets that come with a college degree. All colleges and universities, not just a particular group of them, should be held accountable for the success of their students and graduates. President Obama has proposed new accountability standards for any schools that are tied to federal funding, but nothing is set in stone. He has also encouraged states to take more of a lead on putting college accountability standards in place, but there is no official legislation tied to this. To experience real change, more emphasis on retention and on employment following graduation should be put in place and be monitored through a central governing body. Accountability should extend to all students, starting in preschool and extending through an entire college career. For too long we have trusted colleges to just automatically look out for the interests of their students, but the time has come to change that.